It’s unfortunate, but true: They just don’t make live albums like they used to. Or … maybe they do, and we just don’t appreciate them like we used to? Either way, it was a big freakin’ deal when Townes Van Zandt released 1977’s Live at the Old Quarter, Houston, Texas. Until then, TVT was pretty much an “artist’s artist” – worshiped by fellow musicians and wannabes, but hardly known in the larger commercial sphere. But with this double-live album, which captured a string of shows over five nights at a packed Old Quarter nightclub in Houston, Van Zandt was discovered by the masses. Part of the appeal was just his sheer lack of prolificacy in the four years between when the recordings were made and when they were released. But more significant was the simple fact that a live recording could capture that which all the studio technology in the world could never: the intimacy of personality. Old Quarter “revealed a side of Van Zandt as an artistic persona that hadn’t been translating with his studio albums,” explains Corbin Reiff in his in-depth album write-up for A.V. Club’s “Permanent Record” series. “It helped prove the point that sometimes the artist can be just as, if not more, interesting than the art they create,” he wrote. 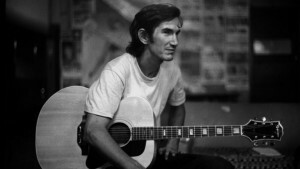 Tomorrow, thanks to Tommy, we’ll all get a chance to hear for ourselves what’s so interesting about Townes Van Zandt. -Craig will kick off the day with a few good spins of Fleetwood Mac’s third studio album, Then Play On. Released in 1969, Play was the last to feature founding member Peter Green and the first to feature Danny Kirwan. It’s lauded as a turning point for the English blues-rock band – away from the classic sound of its first two albums and into a more broad, stylistic range. Two of the tracks – “Rattlesnake Shake” and “Oh Well” – are among the favorite recordings ever of legendary Mac drummer and co-founder Mick Fleetwood. 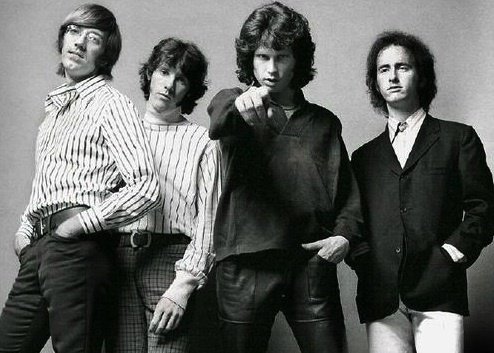 -Alanya will follow up with what’s universally considered one of the greatest rock albums of all-time, the Doors 1967 self-titled debut. Recorded on a four-track tape over six days in Hollywood, The Doors introduced Jim Morrison and company to the world less than a year after they started playing together. Only the Beatles’ Sgt. Peppers Lonely Hearts Club Band kept it from the No. 1 spot on the charts. -And Robert, he who is ever-obsessed with prog rock, will showcase the sounds of Yes and its fourth studio album. Released in 1971, Fragile marked a major transition for the band as it scrapped longtime keyboardist Tony Kayle for the more innovative and experimental Rick Wakeman. Kayle was unwilling to expand beyond the Hammond; Wakeman, in his stead, brought the Moog, Mellotron and other electronic sounds into the mix – redefining the band’s sound for the decades to come. “Fragile was Yes’ breakthrough album, propelling them in a matter of weeks from a cult act to an international phenomenon,” writes Bruce Eder in his review for AllMusic. There ya have it – another Friday, another round of Vinally Friday, only on the Trail 103.3!